SELINSGROVE, Pa. – Selinsgrove Speedway will close out the month with an open wheel doubleheader featuring the 360 sprint cars and PASS 305 sprint cars at 7:30 p.m. this Saturday, July 28. The pro stocks and roadrunners will round out the four division racing card. The 360 sprint cars will compete in a 25-lap main event paying $2,000 to win. This Saturday’s race will be a final tune up before the division’s 30-lap Mach 1 Chassis National Open on Saturday, Aug. 4, paying $5,000 to win and $300 to start out of the $17,000-plus purse. This Saturday will also be a Newville Family of Companies 358 sprint car bonus night. $300, $200, and $100 bonuses will be paid out to the top three finishing 358 sprint car drivers in the 360 sprint car main event. The PASS 305 sprint cars, in their second appearance of the season, will race in a 20-lap main event. The pro stocks will vie in a 15-lap race, and the roadrunners will go 15 laps for $400 to win in this Saturday’s Invitational race. 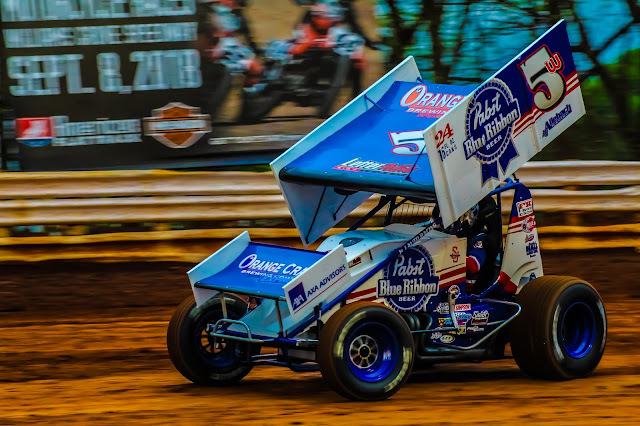 Grandstand and pit gates this Saturday will open at 5 p.m.
Selinsgrove Raceway Park, the one-fifth mile oval located inside of Selinsgrove Speedway’s half-mile track, will present a program of go kart racing at 7 p.m. this Friday, July 27. Track gates will open at 5:30 p.m.